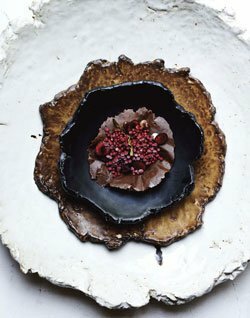 Product DescriptionThis debut cookbook by Chef Christopher Kostow of The Restaurant at Meadowood discusses the transformative effect that The Napa Valley has had on his perception of cooking and craft. 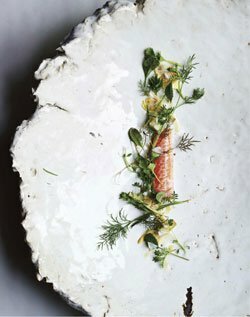 Through thoughtful essays, curated recipes and stunning photography, A New Napa Cuisine details the relationships and collaborations that exemplify a “new Napa”–one full of dynamism, youth and promise. A New Napa Cuisine follows Kostow’s journey from summer jobs at a Chicago-area music festival to helming a three-Michelin-starred restaurant that the Wall Street Journal recently praised as a “temple of modern American cuisine.” The book celebrates the local artisans, products, growers, and wilds that have played a role in the creation of a nascent style of cooking specific to this small American valley. Through tales of designing china with local ceramicists or discovering wild edibles along the creek while walking his dog; planting seeds both literal and figurative–Kostow’s story is a personal and engaging one.